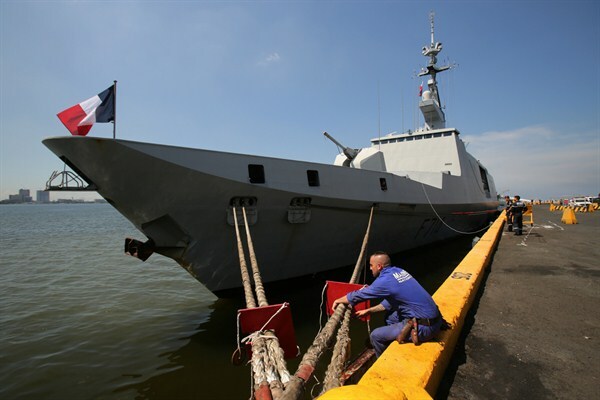 The Guepratte, a stealth frigate of France's Naval Action Force, docked at a pier in Manila, Philippines, May 4, 2016 (AP photo by Aaron Favila). France has always claimed to be a power in the Asia-Pacific, but some recent strategic developments have given additional credence to that claim. In April, France won a landmark contract to sell 12 attack submarines to Australia, after securing a deal with India for the purchase of 36 Rafale fighter jets last year. The Australia submarine contract, worth some $39 billion, is viewed in Paris as heralding a new beginning for France-Australia ties, which until the late 1990s were marred by disputes over French nuclear tests in Polynesia. Australia had been mulling Japanese and German bids.